What to Keep In Mind When Buying Jack Stands? - Muscle Cars Zone! A jack stand is a must-have tool in the automotive repair industry. It is useful when working underneath your car. It is a machine that comes with an adjustable height structure used to support the car once lifted. With the use of a jack stand, you will be able to prevent your car from falling. It works the same way as the floor jack but the margin of error is reduced significantly when you use a jack stand. The jack stands are consisted of a base frame that has an A shape structure. It has a ratcheting post that serves as a platform where you can rest your car. You can pull the platform upward or simply disengage the ratchet mechanism if you want to lower the stand. Once the car is already resting on the stand, it would be impossible to release the ratchet by accident, thus eliminating the possibility of an accident. If you are going to shop for a jack stand, you will notice that it comes in various heights and style. The one you should purchase should match the type of car you will be working on. You need to check your car`s ground clearance and weight. To keep your jack stand in working order, you need to carefully look at the finish and jack as corrosion can be your worst enemy. If you notice some gaps and cracks in the finish, then you should not buy the jack stand for it will not last for a long time. Jack stands available in the market vary in quality. You should choose the one that is built with high-quality as such will surely last for a long time. It can be a bit expensive but you will get your money`s worth, especially if you are looking for a long-term investment. You will know if the jack stand is built to last for a long time by simply looking at its finish. It should be smooth and free from cracks. It is resistant to corrosion. The last thing you would want to experience is working with a rusty jack stand. You also need to check the quality of the welds. The beads of the weld should be even. Choosing the best jack stand can be a daunting task considering the vast choices available in the market today. The next time you should for a jack stand, you have to make sure you take into consideration the tips mentioned above. Always go for quality. 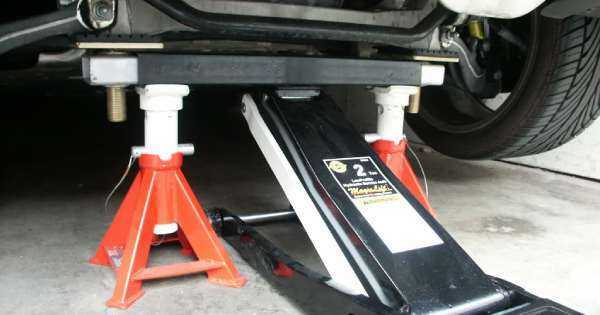 Investing in a high-quality jack stand is a must, especially if you are working with cars and other automotive parts. A high-quality jack can last for the years to come.